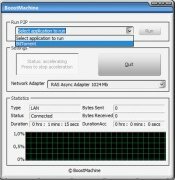 BoostMachine is an application that speeds up and optimizes the downloads that are performed by means of P2P download clients. 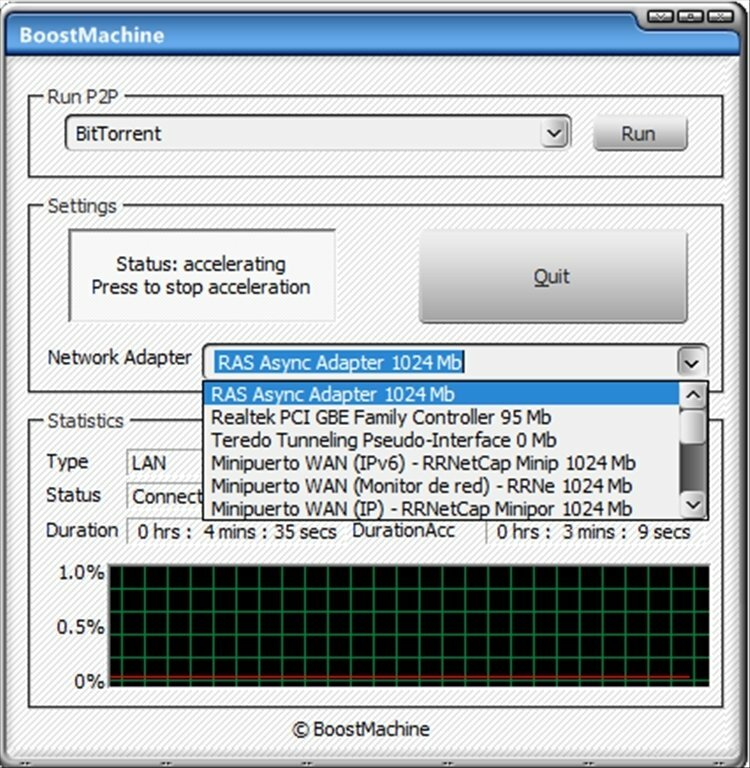 Regardless of whether you use BitTorrent, Ares, FrostWire, µTorrent or any other download program, BoostMachine manages to make the downloads quicker. All you have to do is install it on your system and it will detect all the clients that you have installed. Choose which one you use and start optimizing the downloads. Manages to increase the download speed up to 200%. Compatible with any BitTorrent client. Opens the appropriate ports to improve the downloads. 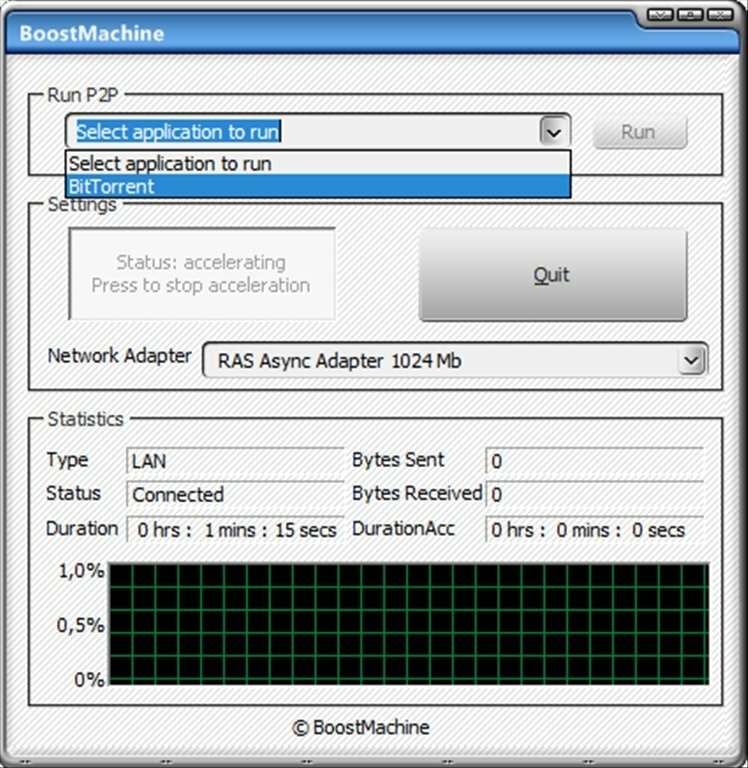 With a very simple configuration, you won't have any problems to make BoostMachine work. You only have to choose the P2P client that you use, and the network adapter of your connection. 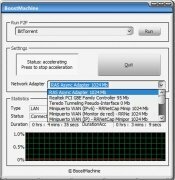 BoostMachine will automatically start accelerating your downloads. Don't waste time, download BoostMachine for free. Your downloads will become really fast.